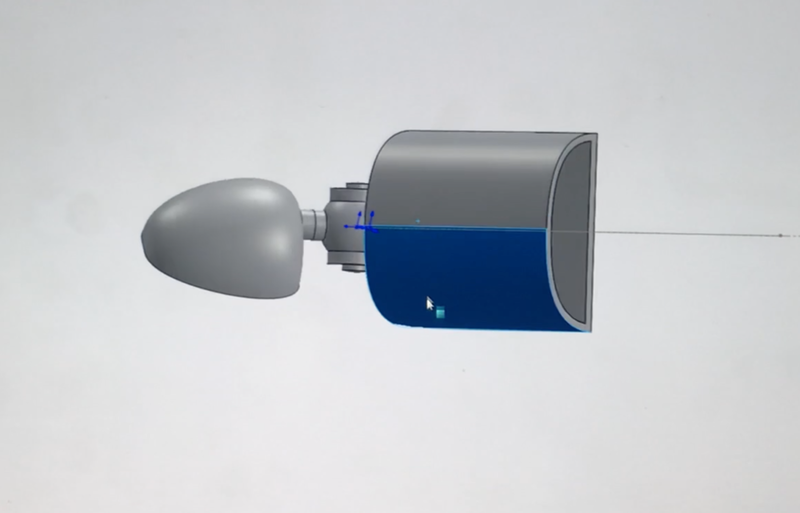 One of the early concepts came from a vacuum head and the articulation the user received when twisting the shaft. This would allow the user to rotate their arm to give a sideways sweeping motion of the mouse. I believed this to be important to keep the control of the mouse out of the gross motor muscles of the arm and allow for more dexterity with fine motor skills. Limiting the use of gross motors muscles would limit fatigue. A movement analysis in CAD showed promising results. With only small rotations of the wrist attachment the connected mouse swept back and forth. I decided to print some models and try manual tests. Manually testing the 3D models lead to a few iterations. There were improvements in control but the desired movement was not achieved. In the end the concept was a failure, but worked as a great stepping stone and lead me towards the next concept.